Breast problems are one of the most common health concerns among women and can affect them at any stage of life. The breasts undergo physiological (normal) or pathological (abnormal) changes with advancing age. Lumpectomy, also called wide excision is a surgical procedure to remove a malignant tumor or a lump along with some of the surrounding normal tissue from a woman’s breast. 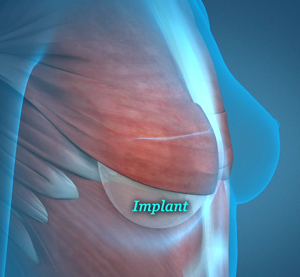 Lumpectomy is a type of breast conservation or preservation surgery. Your doctor will perform a physical examination of the breasts. A mammogram is done to detect soft tissue abnormalities of the breast and a biopsy performed to obtain a tissue sample. Based on the findings of the mammogram and biopsy, you may be advised to undergo a lumpectomy. The aim of the procedure is to remove the abnormal tissue and retain the normal appearance of the breast. 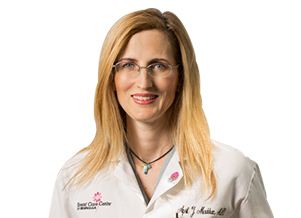 Lumpectomy is usually performed as an outpatient procedure either under local or general anesthesia. An incision is made over the tumor or the area that has been marked as abnormal by a radiologist. The surgeon then removes the tumor along with a small layer of surrounding tissue and sends it to lab for investigation. Your surgeon may also remove lymph nodes in your armpit (axilla) to see if cancer has spread to the lymph nodes. At the end of the procedure, the incisions are closed with sutures and a soft dressing is placed over the surgical area. Make sure you get enough rest so that you can return to normal activities in a few days. Your doctor will prescribe medications and antibiotics to reduce pain and inflammation. Keep the incision are clean and dry to avoid infection. A follow-up appointment should be scheduled 1-2 weeks after surgery to examine your progress. Lumpectomy is usually followed by radiation therapy to stop cancer growth, spread, or recurrence. Complications of lumpectomy include bleeding, infection, pain, swelling, scar tissue formation, a change in the size and shape of the breast.